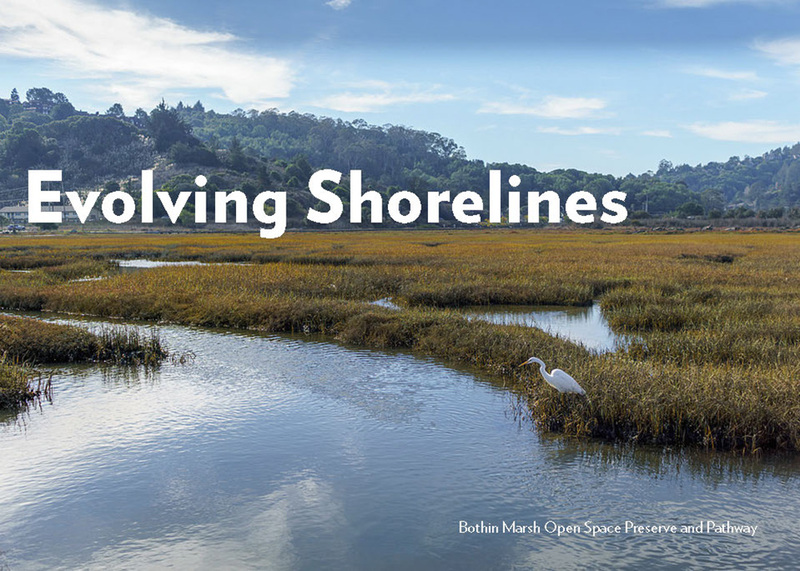 Evolving Shorelines is a series of events hosted by the Marin County Parks, the Parks Conservancy and a diversity of community partners that is exploring sea level rise adaptation at the Bothin Marsh Open Space Preserve. This series is a part of an effort to work with the community to develop a long-term vision for the Preserve. Please visit the Community Vision page to learn more about this process. Please join us at these Evolving Shorelines events in learning more about the hidden treasures within the Preserve and the natural history of the Tam Community. We want you to become part of a greater conversation on how to preserve and protect people, place, and the natural landscape. Description: Laurel Collins explores man’s impact over time on the upper Richardson Bay shore in the vicinity of Bothin Marsh and Tam Valley. The natural landscape challenged the lives of early settlers and land developers. Their legacy of landscape alteration complicates current efforts to address a rapidly rising Bay during this century. Description: Bring the whole family for a marshland scavenger hunt! Stop by the Roving Ranger to pick up a free field guide and passport, discover plants and animals hidden in the marsh, and ask a scientist about your favorite marsh critter. Complete your passport for a marshland explorer’s prize! Time: 5:30PM – 7:30PM. The exhibit will be on display at the Mill Valley library from Sept 5th - 30th. Description: The Marin County Parks and One Tam present an exhibit exploring landscape changes overtime along the Richardson Bay shoreline near Bothin Marsh and Tam Valley. The exhibit features the archival maps and photographs curated from the research of Laurel Collins, a fluvial geomorphologist who is assisting the Marin County Parks with planning efforts at the Bothin Marsh Open Space Preserve. This exhibit is a part of a greater conversation on how to preserve and protect people, place, and the natural landscape as our shoreline community adapts to sea level rise and climate change. Description: Celebrate the newly re-opened boat launch and trailhead at Bayfront Park and learn all about the San Francisco Bay Area Water Trail. Take a guided kayak tour to Coyote Creek and back to learn from ecologist Peter Baye about the evolution and ecology of marshes in Richardson Bay. The tour route will cover approximately 2 miles over calm water in the course of an hour and fifteen minutes. There are two trips, one begins at 10am and another at 11:30am. This event is open to the public with registration options to bring your own kayak or rent a single or double kayak for a discounted price. Registration is required, and space is very limited. Children welcome but must be accompanied by an adult. Description: A 15.5 mile educational bike tour of the Bay Trail in partnership with Marin County Parks, Marin County Department of Public Works, One Tam, the Marin County Bicycle Coalition, and the Bay Trail. Explore the Richardson Bay shoreline on two wheels with experts on waterbirds, the Bay Trail, and staff working on sea level rise adaptation at the Bothin Marsh Open Space Preserve. Learn about the abundant wildlife in the marshes along the Richardson Bay shoreline and the effects of sea level rise on this important habitat. We will also discuss ongoing efforts to address flooding on the Mill Valley - Sausalito Pathway as well as developments with the Alto Tunnel bicycle route. Description: Join us for a guided kayak tour during an exceptionally high king tide event to preview what will be the “new normal” for sea level at Bothin Marsh. Learn what sea level rise looks like from the perspective of the wildlife living in the marsh. Explore ideas for potential sea level rise adaptation projects to protect marsh habitat.